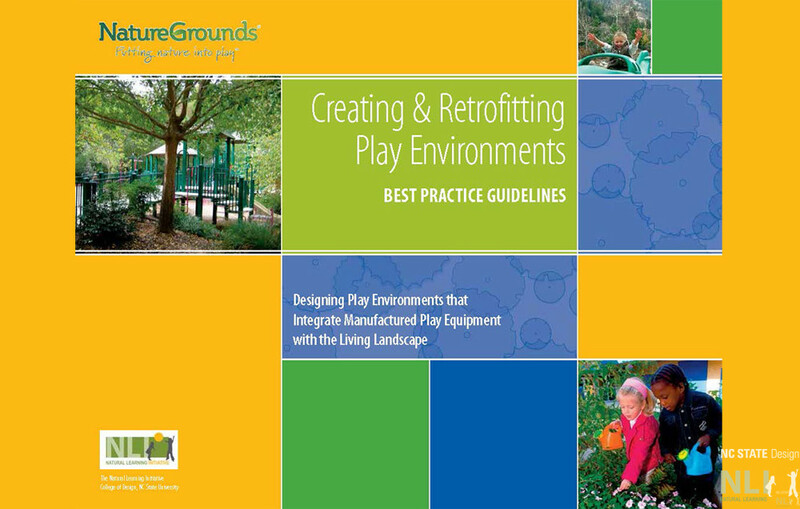 NatureGrounds: Creating & Retrofitting Play Environments Best Practice Guidelines, Designing play environments that integrate manufactured play equipment with the living landscape, is available for download at the NatureGrounds Website. This publication was written by NLI as an education resource and training tool for play environment design that integrates manufactured play equipment with the living landscape. These guidelines provide the evidence of the health and environmental benefits or “play value” of naturalization and a detailed focus on design principals, planting strategies, and both new construction and retrofit implementation considerations. NatureGrounds is part of the global movement to improve children’s play opportunities by “designing nature back into children’s lives” and engaging communities to support and create natural play environments.